Liz was a kid who knew what she liked: boy stuff. Boy clothing, boy toys and games, boy sports, boys as friends. She also knew what she didn't like: girl stuff. Her road to adulthood was bumpy and full of uncertainty. Was she a lesbian? Transgender? A complete freakazoidal weirdo that nobody would ever like (except her mom, because that's her mom's, like, job)? 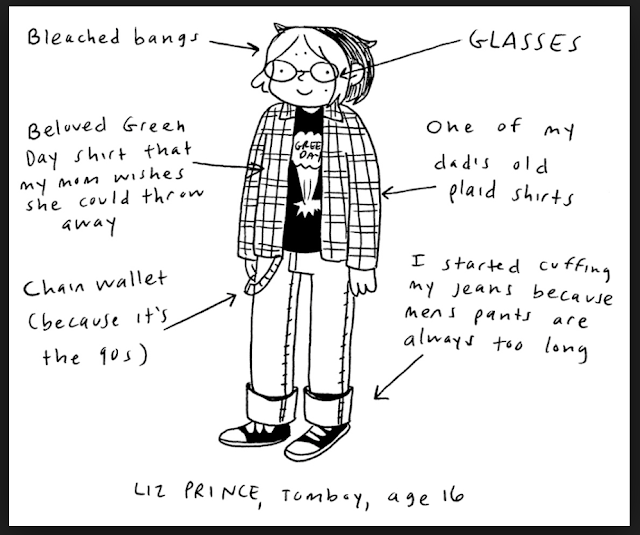 Would Liz ever conform to gender norms? And more importantly: would Liz ever want to comform? This quick-paced graphic memoir is full of angst, but it's also funny. Liz may not be much like other people, but she's got a handle on that now. And her story is worth reading--and sharing.